Every Monday. From April to the end of October 2019. For organisational reasons, please register for this event via telephone or e-mail. Start the new week explosively and test your driving skills under the guidance of the professional guides of the Salzkammergut competence center. The pump tracks of the region are not only fun but you also learn the fundamentals of mountainbike riding technique in the field. Just like the mushrooms, the pump tracks are sprouting up everywhere in Austria. And rightly so, on the trendy tracks you can train the driving technique, driving safety and much more. Excellent training parcours and a great fun factor. 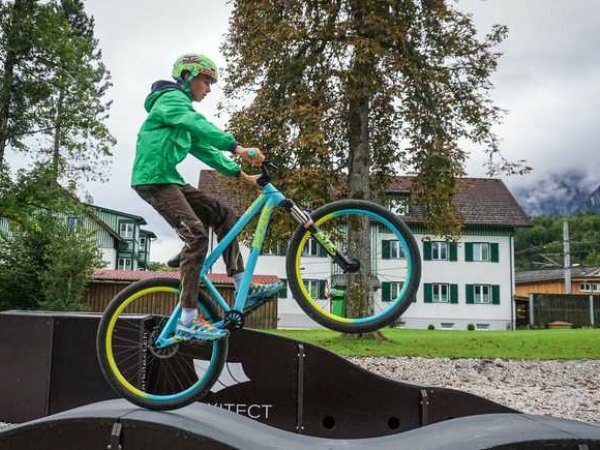 There are also some versions of the trendy pumptracks in the Bike Region Salzkammergut. Practice and train with our guides and get a new ride on the bike. Of course, the units can also be individually designed according to your vacation plans, simply contact the mountainbike competence center or the reception of your bike accommodation. From April to End of October 2019.